Let’s assume you’ve already set up your own Facebook profile and a separate Facebook Page for your business. Maybe you’ve also created a Facebook Group that relates to a type of product or service that your business provides. What are some ways that you can promote the special events your business sponsors? 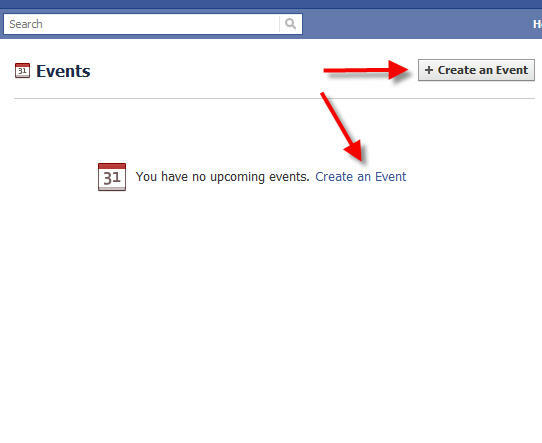 One way is by creating a Facebook Event. A Facebook Event is simply another type of Facebook page that describes an occurrence that will occur at a specific type and in a specific location. The “location” can be a real physical location or an internet web page. 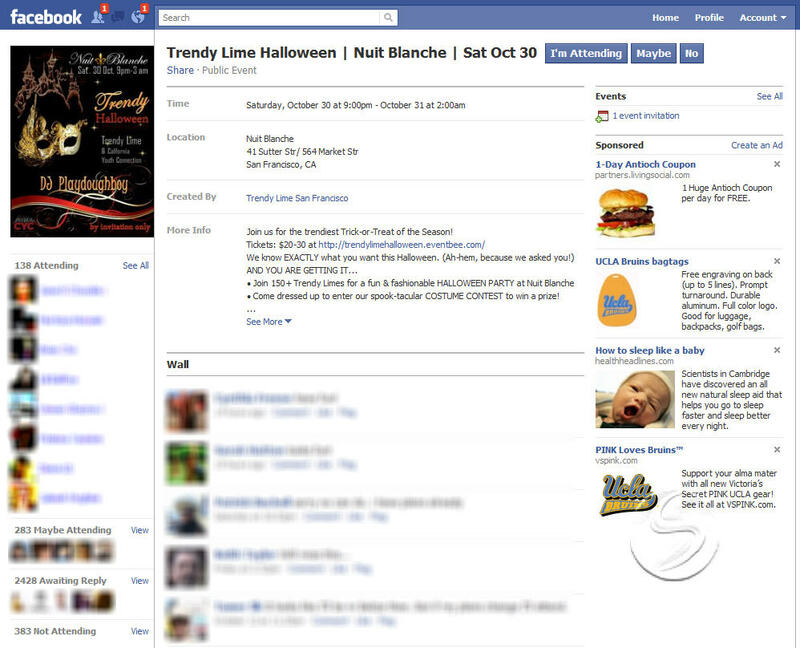 You can use an Event page to promote a sale or limited time promotion that your business is conducting, or some other special event. This can be an effective way to publicize your business activities from time-to-time, because you can target people who are already connected to you or your business on Facebook. Since they’ve connected with you on Facebook, you already know that they’re interested in the kinds of products and services you provide. Creating a new Event is easy. First log in to your business’ Facebook Page if you want the event to be sponsored by the business (or log in to your personal profile if you want to be the sponsor personally). Click the “Events” link near the top of the left navigation bar, and then click the “Create an Event” button at the top right of the main column of your events page. You’ll then be asked to provide the name of the event, along with the time and place, a description of the event, and upload a photograph that relates to the event. You don’t need to include a finishing time if it’s an open-ended event. Finally, you need to decide which Facebook users to invite. You can either select individual guests from your friends list, or you can make the event completely public so that anyone on Facebook can see the Event and sign up to attend. As with any successful business promotion on Facebook, the key is to not overdo it. For example, it’s appropriate to create an event to publicize seasonal sales or other special promotions you are conducting. On the other hand, you’ll probably alienate some of your followers if you create a new event every single day to publicize special prices on individual products. It’s human nature to like being invited to things. Invitations to join make people feel special, and makes them feel like they’re a part of something. After receiving an invitation, the act of clicking the “I’m attending” button to accept the invitation is an affirmation of that person’s connection with the business that set up the event. By accepting the invitation they’re indicating their desire to align themselves with the event you’re conducting. Of course, it’s not always easy to turn your Events and the accepted invitations directly into sales. But you can always evaluate your data to see which kinds of Events are most popular, and whether your Events are becoming more or less popular over time. 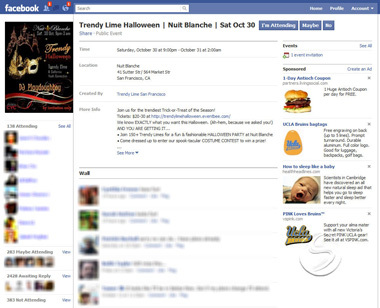 Done correctly, using Facebook Events can be a great supplement to your other promotional activities.